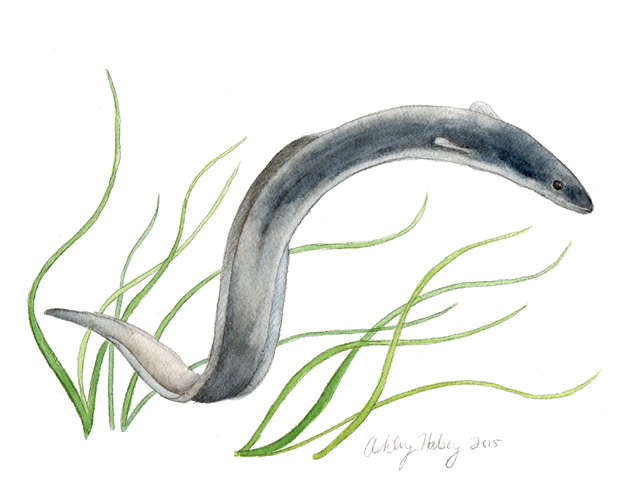 I recently painted the American Eel as a contribution to a the Denison Pequotsepos Nature Center 2016 calendar with the theme of field and stream. A few years ago I read a fascinating book on these mysterious and mythical creatures called Eels: An Exploration, from New Zealand to the Sargasso, of the World’s Most Mysterious Fish. While reading this book I learned all sorts of facts about these bizarre and unusual fish. ” The freshwater eel, of the genus Anguilla, evolved more than fifty million years ago, giving rise to fifteen separate species. . . 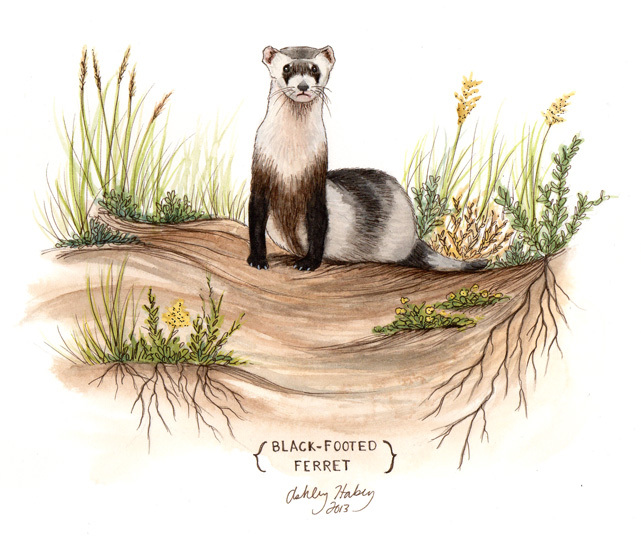 The freshwater eel is one of the few fishes that does the opposite, spawning in the sea and spending is adulthood in lakes, rivers, and estuaries. . .” —James Prosek, Eels. The American eel is found along the Atlantic coast including Chesapeake Bay and the Hudson River and as far north as the St. Lawrence River region. Is also present in the river systems of the eastern Gulf of Mexico and in some areas further south.